Sir John Soane was a noted 18th and 19th century English architect. In 1837, Soane’s London home was converted into the Sir John Soane Museum. 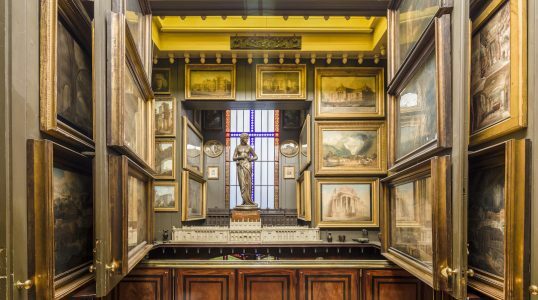 Inside the museum, visitors can view architectural plans and objects related to Sir John Soane and his famous Neo-Classical style designs. Artwork, sculptures, and drawings are also on display.